Finally the Asus TUF series motherboards based on the latest Intel Z87 Express Chipset for the latest 4th Generation Intel Core Haswell Processors Socket 1150 – the Asus Sabertooth Z87, Asus Gryphon Z87 and Gryphon Armor Kit are now available. The ATX Sabertooth Z87 and micro-ATX Gryphon Z87 features proprietary ASUS-developed thermal designs to deliver enhanced cooling, stability, and reliability. They pass demanding military component and server-grade system operation durability tests. Features include 10K Black Metallic capacitors and highly survivable chokes and MOSFETs, providing customers long-lasting hardware for intense use in harsh conditions. The sold-separately Gryphon Armor Kit upgrade pack allows users to add premium TUF-exclusive components to the more value-priced Gryphon Z87, improving on its already robust thermal performance to prevent dust build-up and offer flexible DIY assembly options. Building on the success of Sabertooth Z77, the new Sabertooth Z87 motherboard upgrades various features that make it even more thermally-effective, durable, and resilient. The TUF Fortifier backplate reinforces the PCB against bending caused by the installation of heavy components such as high-end CPU coolers and graphics cards. Bending may damage board circuitry, and TUF Fortifier virtually eliminates this harmful effect. The rugged backplate attaches to the board using a thermal pad, which further expedites heat dispersal, especially from sensitive CPU voltage regulator modules. Thermal Armor with Flow Valve refines previous Thermal Armor versions. Dual fans (located at the center of the board and the back I/O) direct heat away from critical components using smart thermal shunt channeling, and the new Flow Valve allows customers to regulate airflow to make the most of their cooling system of choice. When Flow Valve is closed, it focuses powerful airflow on heatpipes to accelerate passive heat removal, maximizing the efficiency of a CPU liquid cooling kit. For air-based dissipation, opening the valve allows full airflow from a CPU cooler, working together with the Thermal Armor shunt design and included dual fans to enhance cooling performance. Flow Valve signifies another TUF Series innovation that responds to community feedback and accommodates a wider range of cooling systems. Both TUF Z87 motherboards include Thermal Radar 2 smart real-time temperature detection. In addition to board-embedded sensors, ASUS bundles three thermistor cables with Sabertooth Z87 so users can manually verify heat levels for the graphics card, hard drives, DRAM and other critical components. Thermal Radar 2 comes with a user-friendly utility that enables detailed fan speed adjustments as well as one-click fan performance tuning for optimal cooling in every scenario. Dust Defender enclosures guard more I/O ports, expansion slots, and memory slots compared to Z77 TUF offerings. Dust stands as one of the leading causes of diminished performance over time, and Dust Defender mitigates its impact, even in highly dusty environments and during very prolonged usage. With these features, Sabertooth Z87 achieves stability, reliability, and longevity ratings that far exceed those of standard motherboards. The first micro-ATX motherboard from TUF, Gryphon Z87 shares many of the features found on Sabertooth Z87, such as military-grade components and Thermal Radar 2, while going to market with a highly attractive price point. 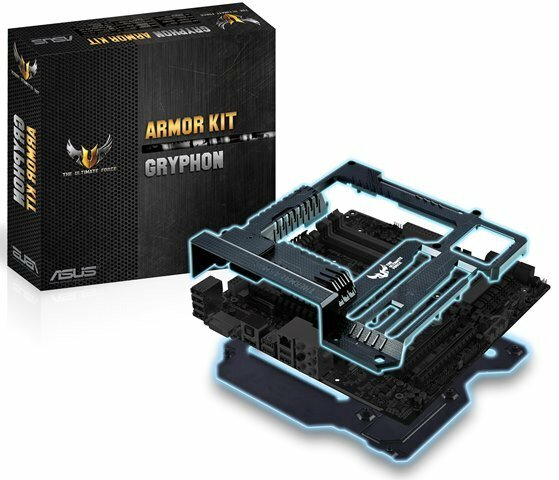 ASUS has created the Gryphon Armor Kit to help Gryphon Z87 users upgrade the board with add-on parts and features. The kit contains a micro-ATX version of Thermal Armor, the TUF Fortifier backplate, Dust Defender enclosures, and three thermistor cables. When installed, Gryphon Armor Kit improves Gryphon Z87 thermal endurance, reliability, and dust resistance, and gives it a more distinct TUF Series look. Gryphon Armor Kit is sold separately, and combines the joy and flexibility of PC DIY with the benefits of TUF Series thermal efficiency and stability. 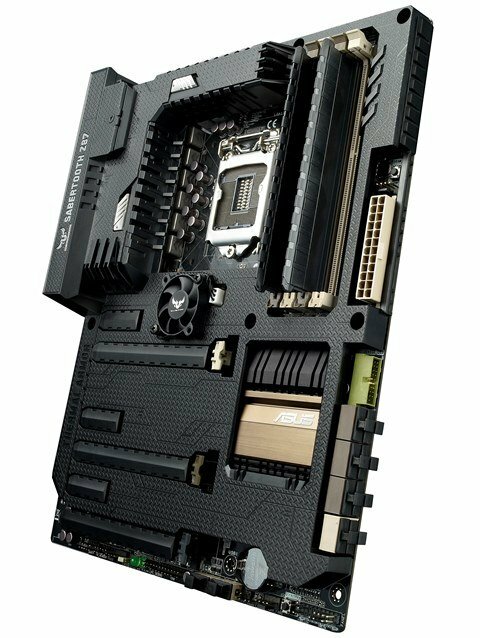 Like I said, both the Asus TUF Sabertooth Z87 and Gryphon Z87 together with its Gryphon Armor Kit are now available, both in major online stores and local computer stores. You can buy an Asus Sabertooth Z87 for only $259.28 here, and the Asus Gryphon Z87 for only $170 here. For best experience and to maximize the full potential of these motherboards, you might want to pair it up with the latest Intel Core i7-4770K or the Intel Core i5-4670K. In the Philippines the price of the Asus Sabertooth Z87 is around Php 14,690, Gryphon Z87 is around Php 10,490, and the Gryphon Armor Kit is Php 1,990.